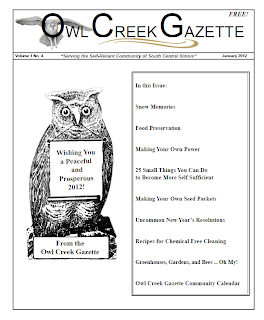 The January 2012 issue of the Owl Creek Gazette. Yae! Love, love, love reading this little treasure! Thanks so much, Lenora! 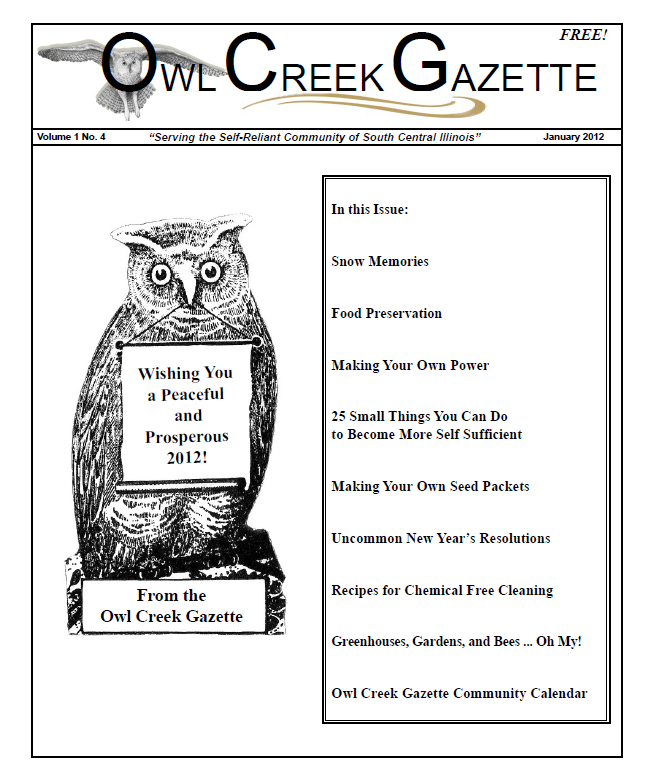 We love hearing how our magazine is resonating with folks far and wide.